On Monday, Apple announced two new additions to its tablet lineup, the 10.5-inch iPad Air and the fifth-generation iPad mini. 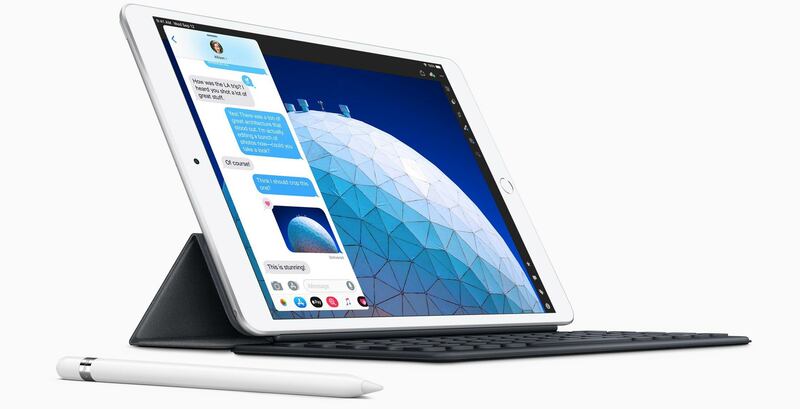 The two tablets feature the company’s latest A12 Bionic chipset and support for the first-generation Apple Pencil. They’re also the first non-Pro model iPads to add eSIM support, a fact that was first spotted by Engadget Japan. This makes the new iPads far more versatile than their Apple SIM predecessors; Apple SIMs were only available through select Apple carrier partners. By contrast, eSIM is a new standard with growing support. Functionally, however, the two work the same: instead of obtaining a physical SIM, iPad owners purchase an eSIM, which they activate using a QR code. Due to their digital nature, eSIMs are an excellent option for travelling, since you don’t have to go into a carrier store to purchase one. eSIM support is somewhat hit and miss in Canada currently. At the moment, Rogers and Bell support the standard, as do their flanker brands. Telus, by contrast, hasn’t announced when it plans to support the standard.